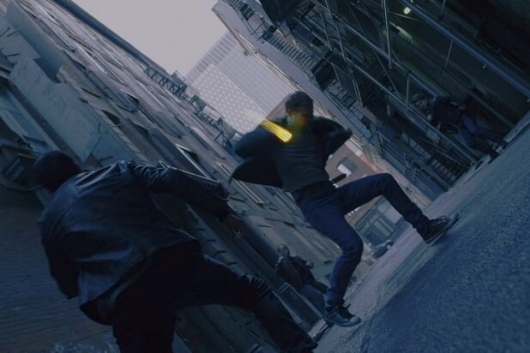 Well it looks like Iron Fist will take the responsibility of protecting New York City in Daredevil’s absence. And with a war looming, he’s going to have to use that Iron Fist of his to protect the city and bring an end to the conflict. While the trailer may only be a 57-second sneak peek, we get to see that Marvel is doing what it can to improve the quality of the show. First up, they’ve hired a new showrunner. Raven Metzner, of Sleepy Hollow and Falling Skies fame, takes over that job. Clayton Barber is the show’s fight coordinator. His credits include Creed and Black Panther. So there are two things that give us hope that season 2 will be a huge improvement over season 1 and the Defenders miniseries. It does sound cheesy, but could there be a bigger fight that is waiting to happen? We won’t know. But Rand’s promise to defend the city won’t be a solo act. Jessica Henwick will return as Colleen Wing. They will be joined by Tom Pelphrey, Jessica Stroup, Sacha Dhawan, and guest star Simone Missick, who will reprise her role as Misty Knight. Alice Eve will play the main villain, Typhoid Mary. Netflix will release all episodes of Iron Fist season 2 on September 7, 2018.